This woman has her future figured out. According to the Bureau of Labor and Statistics, adults ages 65 and older spend on average about $46,000 a year. This means that even if you are only retired for 10 years, you would need nearly half a million dollars to live comfortably. 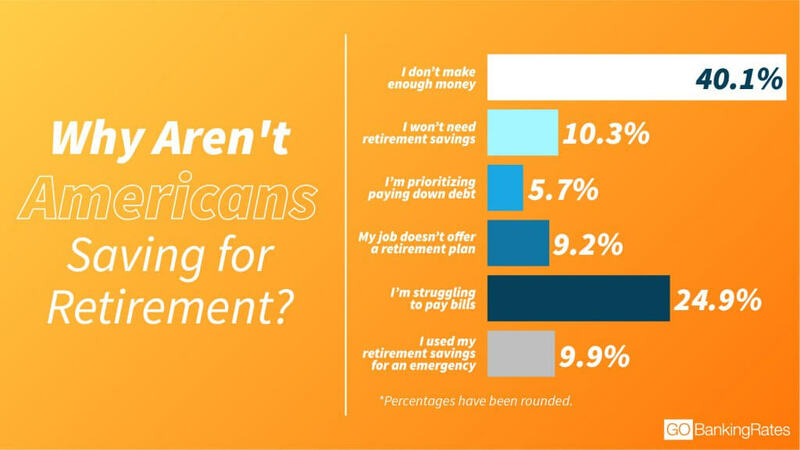 This news isn’t good for the majority of Americans who fall well below the savings needed to survive their golden years. Creator of The Frugal Feminista and Smart Money Squad member, Kara Stevens, shared her insights on making retirement comfortable for her future self. I’ve been with my current financial advisor, James, for close to 15 years. In a recent conversation, he shared his first impression of me, which, surprisingly, wasn’t complimentary at all. He said that after I entered his office to discuss retirement, he thought he’d never see me again. In his experience, potential clients would show great initial interest in planning for retirement, but would never garner the discipline or commitment to execute a plan. His anecdotal experiences mirror what’s happening nationwide. 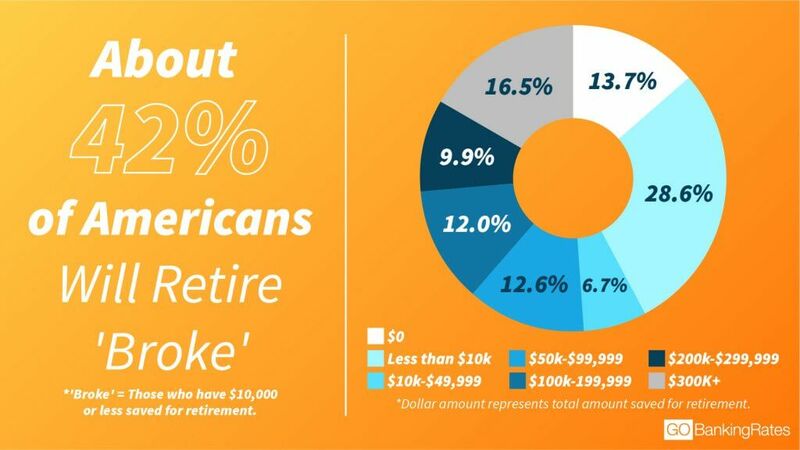 A recent survey from GOBankingRates found that 42 percent of Americans have no more than $10,000 saved for retirement, which isn’t even enough to cover a year’s worth of expenses in retirement, according to the BLS. Further, nearly 14 percent have nothing saved at all. Click to read more about signs you’ll retire broke. What James didn’t know about me when we first met was that I had seen family members lose their homes, beg for bus fare and contemplate suicide because they had no money in their twilight years. I didn’t want to suffer the same fate. After we had our initial meeting, I returned the next week with my first deposit: $100. And, I made sure that every month I scheduled a $100 deduction to go toward retirement so I could have a cushy future. Besides automating my retirement, here are three other money moves I made to set myself up to retire comfortably. A GOBankingRates survey, conducted via Survata, asked 1,000 adults with $0 saved what the main reason for their lack of savings was. The No. 1 response was, perhaps unsurprisingly, “I don’t make enough money” (40 percent). When I first met James, I was in my 20s, a classroom teacher and had student loan debt. But, that didn’t stop me. I started with as much as I could afford and increased how much I contributed on a yearly basis. James also encouraged me to speak to my human resources department to find out about how to take advantage of my employer’s Tax Deferred Annuity (TDA) options. Once I eliminated my student loan, I had grown so used to living on less, I was able to funnel even more money toward my retirement savings without feeling deprived. During my financial journey, I lived at the extremes of the spender-saver spectrum. There were times when I deprived myself of the basics of life in the name of saving a dollar. On the other hand, there were periods of time when I spent frivolously in the spirit of self-care and self-love. But, after reading Julia Schor’s seminal “The Overspent American,” I began to fully make sense of money and how Americans use status spending to keep them focused on material acquisition rather than wealth-building. This book offered a tempered approach to spending: If you buy to impress others, you’ll be unhappy and be shopping forever, so avoid it. This book reinforced my decisions to buy a moderate home (instead of a McMansion), frequent thrift stores even though I can afford more, and indulge in experiences and activities that matter to me independent of their popularity. While I never thought of The Frugal Feminista as a form of retirement income, it is. A business, whether part time or full time, could generate enough income to make a huge difference in how you experience your retirement. An additional source of income can determine how much you travel, where you decide to relocate (if necessary) and how generous you can be to organizations and causes that align with your values. While I have at least three more decades in the workforce, I know that my approach to saving for retirement through simple living, entrepreneurship and good ol’ savings will ensure that I retire like a boss. Will you? Click through to read more about getting the most out of your retirement benefits. Find out the top reasons Americans have anxiety about retirement.